The publishing house Casa Editrice Tabacco has been producing geographical maps since the end of the war and the brand is internationally recognized as synonymous with precision and safety for extreme climbers, mountaineers, trekkers, hikers and weekend walkers. 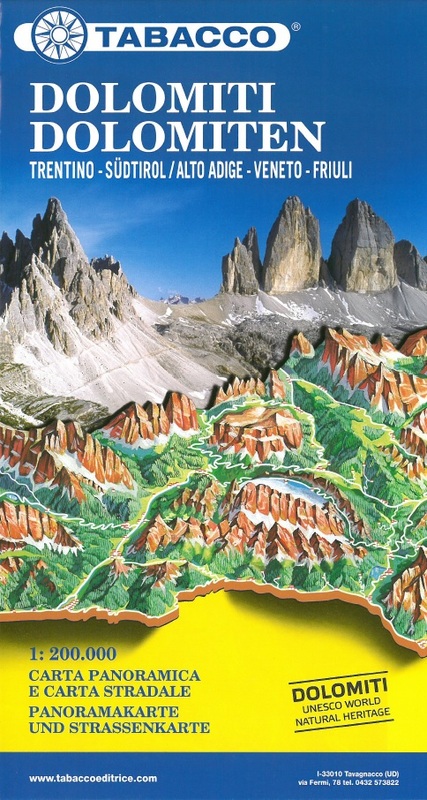 The maps produced concentrate on the North-East Alpine area and, more precisely, go from the Adamello mountain ranges to the Trieste limestone karst, thus including all the Dolomites, which have been declared a "World Heritage" site by UNESCO. 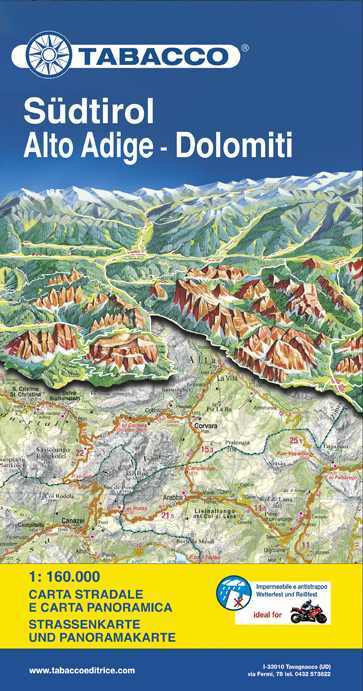 The map production includes 1:25,000 and 1:50,000 scale maps, maps of all the South Tyrol national parks and Special maps. For a relaxing walk or a challenging climb. For discovering stunning countryside or planning hiking, mountain bike and ski-tourism trips. For everyone, at any time of year, throughout the Eastern Alpine range, there’s Casa Editrice Tabacco: an international guarantee of readability, precision and safety. From 1:25,000 scale maps for hikers, to national park maps and road maps: whatever your objective, Tabacco will be your guide. Casa Editrice Tabacco’s best-seller: 1:25,000 topographic maps, chosen by the Alto Adige Mountain Rescue Service for their utter reliability. The only 1:25,000 scale series that covers the entire North East Alpine Range. For travel and excursions, to take along with you or hang up as a poster.